The journey to the starting line for the 2018-2019 Toyota 86 Championship might have been a different one – a very different one – for seventeen-year-old Peter Vodanovich, but the goal remains clear for the St Kentigern College racer – victory. Vodanovich doesn’t have a background in karting as so many racing drivers of all levels do. His skill set was forged behind the wheel of a Sony PlayStation simulator and put to the test over just two years of racing in New Zealand’s popular 2K Cup Category, in a BMW E30 and in a Ssangyong Actyon Ute after winning the 2017-2018 Ssangyong Scholarship. It’s a recipe that many are beginning to embrace as a starting point for an up and coming racer looking to establish a full-time career in motorsport and it has proven to be a clear indicator of talent for Peter. Slick performances including wins, podiums, fastest laps and rookie accolades have captured the attention of experienced racing engineers and marked him out as a coming talent. Securing the runner-up spot in the New Zealand Elite Motorsport Academy confirmed the talent was there and he still has eyes on the ‘Class of 2018’ Ian Snellgrove Trophy, the winner of which will be announced in April next year. Peter’s talent was displayed last season when he did three rounds of the Toyota 86 Championship as preparation for a full assault on the series this coming season. A podium finish and top rookie honours at Manfeild was a great way to make a memorable first impression and fill him with confidence for the upcoming season where he is aiming to win the championship in his rookie year. “My Dad and I began racing in the 2K Cup less than two years ago and it has been a rollercoaster journey since, which I’m incredibly grateful for,” he explained. “Starting from simulators certainly makes me the underdog of the series, but I am aiming to take my racing to the highest tier and the highly professional and competitive Toyota 86 series is the perfect championship in which to prove myself. Vodanovich has secured title sponsorship from CMC Markets as well as additional backing from MacClures ITM, Creme Insurance, Bayleys Mission Bay, First Stop Electrical and Champs Fitness. Off-track Peter has been preparing hard too and believes the strong mental disciplines, physical strength and fitness that came from eight years of hard work to become a black belt in Hsou Jing Do, will be of huge benefit. “Particularly combined with physical training at Champs Fitness and the various aspects of motorsport that the Elite Motorsport Academy programme is helping me to improve,” he added. Peter’s championship challenge in what many believe will be the most competitive NZ championship racing series next season will begin at the Supercar Championship event at Pukekohe Park in November before the series joins the Speed Works Motorsport NZ Championship for round two on Pukekohe’s original ‘short course’ configuration. 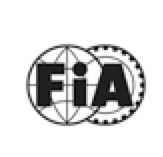 The championship then heads south for weekends at Highlands Motorsport Park and Teretonga before heading to the New Zealand Grand Prix meeting at Manfeild Circuit Chris Amon in February. It concludes at Hampton Downs in March with a non-championship endurance racing weekend in Taupo a month later. 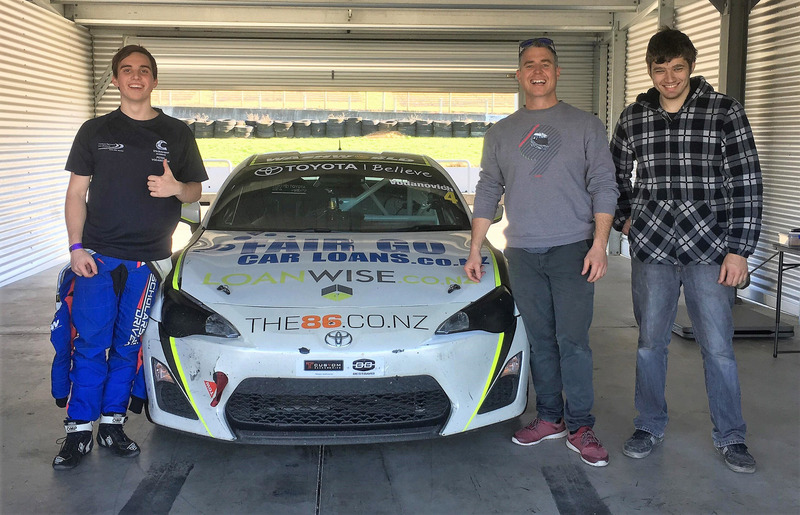 Caption: Peter Vodanovich taking time out from Toyota 86 testing with engineer Todd Pelham and mechanic Hayden Geddes.